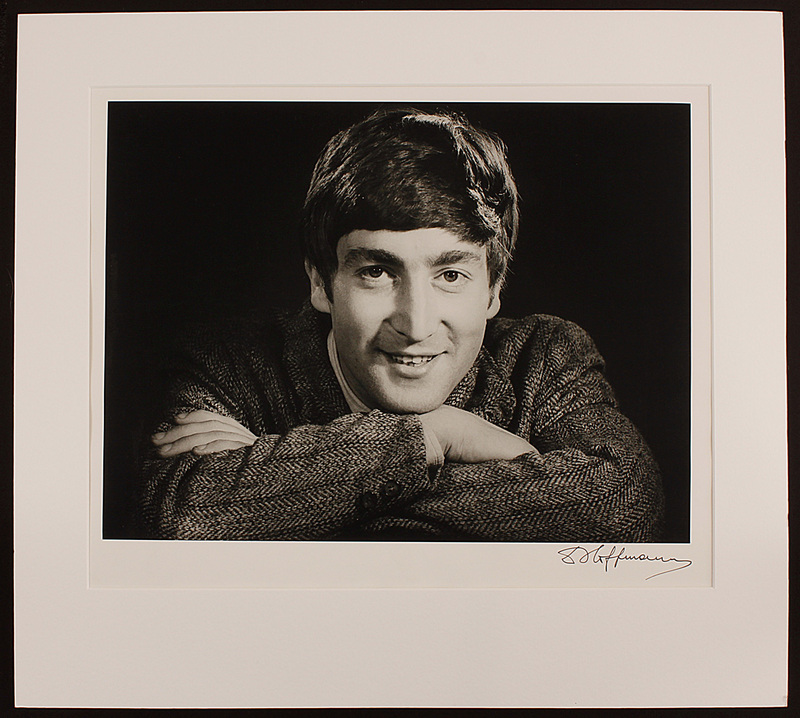 A stunning, original 16 x 20 vintage black and white portrait photograph of the Beatles' John Lennon that has been signed on the border by famed rock & roll photographer Dezo Hoffmann. Very good condition. Mounted. Comes with a receipt from the gallery at which it was originally purchased and a Gotta Have Rock & Roll™ Certificate of Authenticity.